Welcome to Prosper Smiles Family Dentistry, where we provide caring, exceptional, world-class dental services to patients of all ages! Every treatment and procedure we provide at Prosper Smiles Family Dentistry aims to improve the health, performance, and beauty of your smile. We blend state-of-the-art technology and materials with an eye towards outstanding patient comfort. When you feel relaxed and enthusiastic about your dental health care, you are more likely to become an active participant in maintaining that healthy smile. After all, your smile is our signature! Dr. Vimal Patel not only has the experience and talent to provide a full range of dental services, but he also possesses a friendly personality and great sense of humor that sets even our nervous patients at ease. 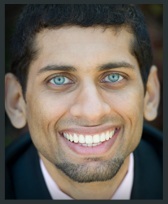 Dr. Patel believes in putting his patients first. He promises to work closely with you to develop treatment plans that fit your unique health and lifestyle needs. Whether you need a caring pediatric dentist for your little ones or a talented restorative or cosmetic dentist to address your smile goals, Dr. Patel and the Prosper Smiles Family Dentistry team will meet your needs to the best of our ability. At Prosper Smiles Family Dentistry, we have created a different kind of dental practice: one that focuses on family, fun, and creating healthy, beautiful smiles. To schedule an appointment, please contact us at (972) 347-9617. From our state-of-the-art dental office in Prosper, TX, Dr. Patel and his talented staff proudly provide general, restorative, and cosmetic dentistry to families in Celina, Frisco, Plano, McKinney, Denton, and Allen. If you have gapped, broken, chipped, slightly crooked or stained teeth, you might not be to thrilled with your smile and you may be searching for a way to fix it. A simple way to fix these situations is by using veneers. Veneers are very thin but strong pieces of porcelain that are crafted just for your teeth to give you the bright and straight looking smile you have always wanted. You can change the shape, color and size of the teeth giving you the smile that is perfect for you. 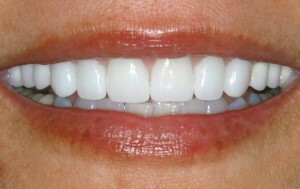 Veneers give you a very natural looking smile that will last many years. Read more here. Are you a dental chicken? We know that sounds funny but the fact is, many people have a fear of going to the dentist due to a variety of reasons. Some had bad experiences when they where children and others have heard stories that have frightened them to the core. Hollywood hasn’t helped much either when they depict root canals in the movies. The fact is, dentistry and its technology have come a long way over the past several years and that includes our ability to manage pain. As a matter of fact, most of dentistry today is virtually painless. Cutting edge sedation methods help us make you more comfortable than ever. Let us put you at ease and make your next visit the most comfortable you have ever had. Read More On Sedation. I do not believe in over-diagnosing dental treatment. My main focus is to provide preventative services and education on good oral hygiene. My philosophy is to treat my patients like family. We want to personally invite you to stop by our office and take a tour of our facility. Everything about our office was designed for you and your family to be able to feel relaxed. Did you know that Teeth Whitening is the most requested cosmetic dental procedure? It’s also a very cost effective way to get the beautiful white smile you have always wanted. Let us help you find the whitening solution best for you.